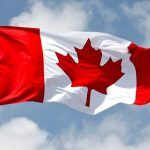 Canada Visa Application Process - How to Apply for Canada Visa? Canada is a popular destination for many people for visiting, working, and studying. Recently, there have been a lot of other people who want to permanently immigrate there. 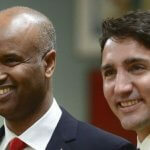 Before this happens, applicants need to know whether they a Canada need a visa or not. If you are one of these applicants and you need a visa, you must apply for one. Depending on the type of visa you want, you will have a method of applying, but there are a few general steps you must take. This article will describe the general Canadian visa application process step by step. Before you know how to apply for Canadian visa, you must first know which visa you want to apply for. 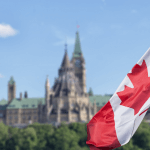 There are different types of Canada visas, ranging from visitor visas, student visas, work visas, as well as permanent residence visas. You must pick the one that fits the motive of why you want to go to Canada. For example, if you just want to be a tourist in Canada, then you apply for the Tourist Visa. After you have picked the visa that you need, you must find out as much information about that visa as you possibly can. You must know what you are allowed to do with that visa and what is prohibited. You must also know how long you can stay there and whether you can apply for extensions, permanent residence, or even Canadian citizenship. Finally, you must know what the requirements are and whether you can fulfill them. If you find out that you are not eligible for the visa you want to apply for, then it is better to find a different visa rather than apply for that one and get rejected. That is where the next step comes in. To find out how to get a Canadian visa, the Canadian government has made it quite easy. They have created different tests that evaluate the eligibility of applicants by asking them to fill out an online questionnaire. Depending on the type of visa you want, you will be asked to answer several questions, and the system will then let you know whether you can apply or not. Additionally, it will also send you the relevant instructions and steps you must take to fulfill all the requirements. To be able to access these questionnaires and find out if you are eligible for the Canada visa, you must go to their website here. The website will show you different information and different tabs that you can select, but you must go to the Immigration tab. When you hover or click on the Immigration tab, it will show you a drop down list of options. The first one will be My Application, and then there will be tabs for Visit, Immigrate, Work, Study, and others. You must select the one that corresponds with the visa you want to apply for. As a continuation of the example we showed above, if you want to get a tourist visa, you must click on the Visit tab. After you click on the tab that matches the reason you want to visit Canada and the visa you want to apply for, you will see more information there. Whichever tab you have clicked, one of the links will say “Find out if you can apply” or “Find out if you are eligible”. You must click on this link. The link will take you to the questionnaire where you will have to answer several questions. They will range from your personal information to reasons why you want to visit Canada, and previous travel history. At the end of the questionnaire, the system will show you the results. If you are eligible for the visa you have selected or a different type of visa, the system will ask you to input your contact information (usually your email), and they will send you a set of documents. The documents will contain a description of the visa, as well as instructions and details about how to apply. Additionally, they will send you a reference code. The reference code is one of the most important information on that set of documents, because you will have to use it to start your application. Without a reference code, you will not be able to apply. The reference code tells the system the information you have given it during your questionnaire and it will have the type of visa you are applying for. Because of this, you must save the email and those documents. You can either write the reference code in different ways, such as send it to yourself, write it on your computer, or on a piece of paper, but you must not lose it. If you do, you will have to start the questionnaire process all over again. Within the instructions sent to you by email, it will show you whether you must apply online or in person. Since the Canadian government is digitalizing its records, most people will have to apply online. To do that, you must create an account. You can use whichever one fits you better, since either way you will have to use your banking details to pay the visa fees. Personal declaration as to why you want to go to Canada, etc. You must submit all of these forms online in the system and then proceed to submit the application. Once the system has verified that you have submitted all the necessary documents, it will take you to the payment page. You will have to pay the visa fees depending on the type of visa you are applying for. When that is completed, your application will be submitted. It will take around 5 work days for you to see the application on your account, and if you apply in person, you will just have to take those documents to the Canadian Embassy in your home country. The Canadian Embassy will then process your application for two or more weeks depending on the type of visa. Additionally, they might ask for more documents, or for you to submit your biometrics and have an interview. If they ask for your biometrics and an interview, this means you will have to visit the Embassy in person even if you applied online. You will have to make an appointment, or the Embassy will make one for you. At your appointment, you will have to submit your fingerprints and photographs, as well as answer questions from a Canadian Embassy official. The official will determine whether you are fit to get a Canadian visa or not. They can let you know of their decision immediately after your appointment or send you a notification later. All Embassy notifications regarding your visa will be posted on your account, so you must check it continuously, even if you did not have to submit biometrics or go through an interview. If you receive a notification that your visa application was successful, the next step is to submit your passport to the Canadian Embassy. This can be done by mailing it to the address of the Embassy in your country, together with processing fees. The processing fees depend on the type of visa you are applying for and will range from $20 to $50, which you must pay by check or money order. You must also pay for a return envelope for your passport. The Embassy officials will receive your passport and fees, stamp the visa on your passport, and mail it back to you. If you get notified of their decision immediately after the visa interview, then you will have to pay the processing fees there and get the passport immediately. Once you have your visa, you can travel to Canada. At the point of entry, you will be asked to show your passport and documents. The officials will check them and ask a few questions about why you are going to Canada. After you answer, they will make the decision whether to let you inside the country or not. 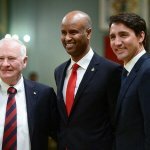 The officials at the point of entry have the authority to not allow you inside Canada if they believe that you will commit crimes or not respect your visa restrictions. Having a visa does not guarantee that you will go to Canada, only the border officials are allowed to do that.